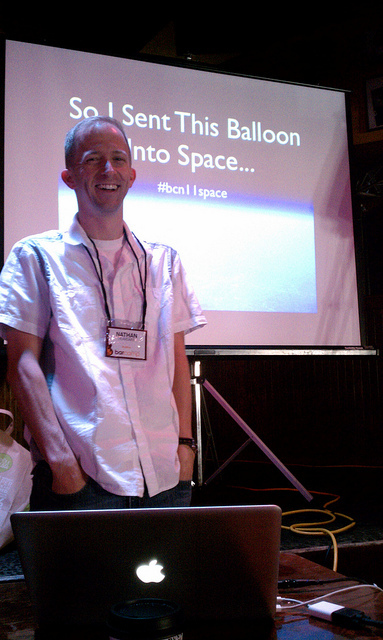 My Space Balloon presentation at BarCamp Nashville went well. I normally would 'wing' a BarCamp talk, showing only the pics/video or show-n-tell. But I realized earlier in the week that I had a lot to cover and only 35 minutes to complete it. I figured some organization of my material might be in order. So, those of you that were there got to witness my first ever keynote presentation. Woo hoo! I had a number of people tell me that they missed it, due to collision with blocked-off roads from a footrace that morning or the 9AM timeslot. 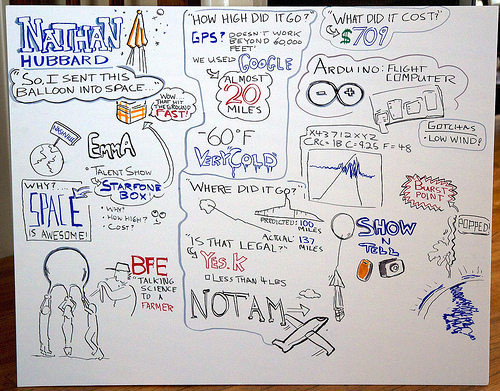 So, here is the presentation in PDF format, with movies removed: Space Balloon BCN11 Presentation. If you want to see the movies, they are linked on my blog here. 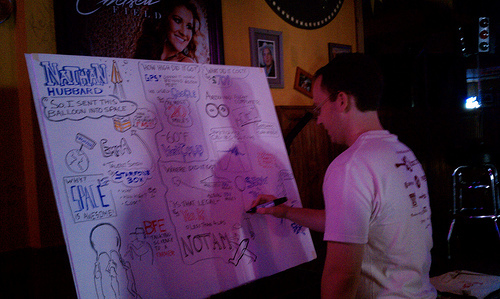 One other really cool thing that happened yesterday during the talk was Nick Navatta drawing a graphic of the presentation. Seriously cool. He even let me keep the end result, which I shot and put up on flickr.